You can delete any templates that you don’t like. 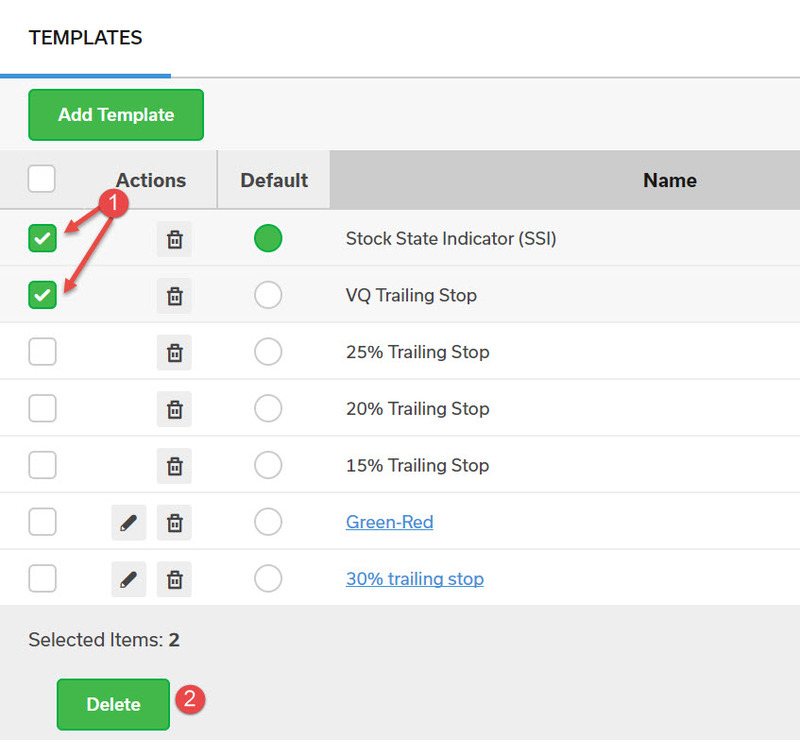 Click to place a check mark in the boxes in the first column (1) of the templates to be deleted. Click the Delete button (2). Confirm the deletion of the templates. NOTE: The default template cannot be deleted. If you would like to delete the default template, select another template to be the default first.